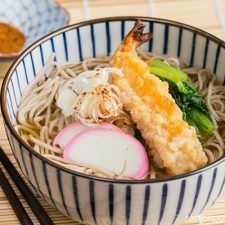 Topped with crispy shrimp tempura, fish cake and sliced scallion, this steamy bowl of Soba Noodle Soup is one of my favorite dishes to enjoy on the New Year’s Eve. In Japan, it is a tradition to eat soba noodles on this day. Attempting to warm up my cold hands by holding the warm bowl, I slurp away the noodles inside the steam coming off from the piping hot broth. On a cold rainy day or when I feel under the weather, a bowl of hot noodle soup never fails to bring me great comfort. I always prefer udon or ramen over soba noodles when it comes to hot noodle soup, except for one day out of 365 days. I must eat hot soba noodle soup on the New Year’s Eve. Warm soba noodle soup in a delicate kombu dashi. 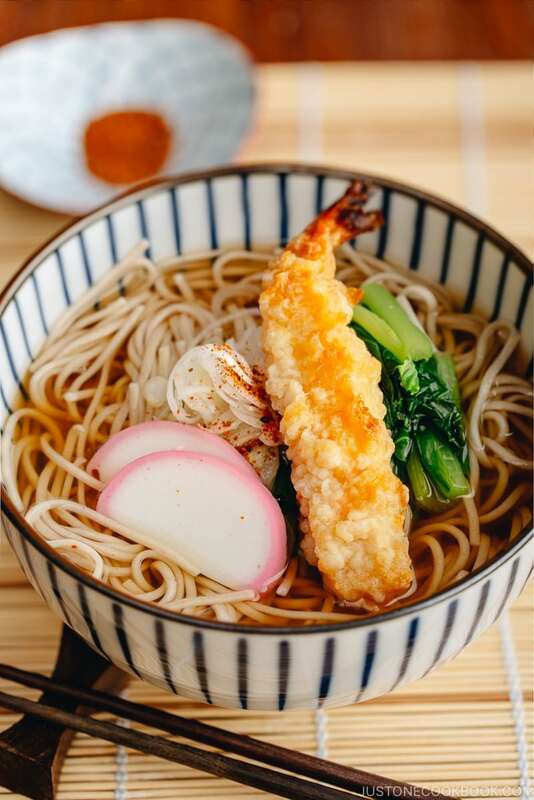 Topped with shrimp tempura, kamaboko, and sliced scallion, this authentic soba noodle soup is enjoyed by the Japanese on New Year’s Eve. Why Do Japanese Eat Soba Noodle Soup on New Year Eve? Long thin soba noodles symbolize a long life. Buckwheat can survive severe weather, which represents strength and resiliency. Goldsmiths use buckwheat flour to gather gold dust, which symbolizes good fortune. Soba noodles are easily cut while eating, which symbolizes letting go of hardship of the year. For Toshikoshi Soba, the noodles are often eaten plain without any toppings, or with just chopped scallions. I like mine to be simple too as we usually eat Toshikoshi Soba before midnight. 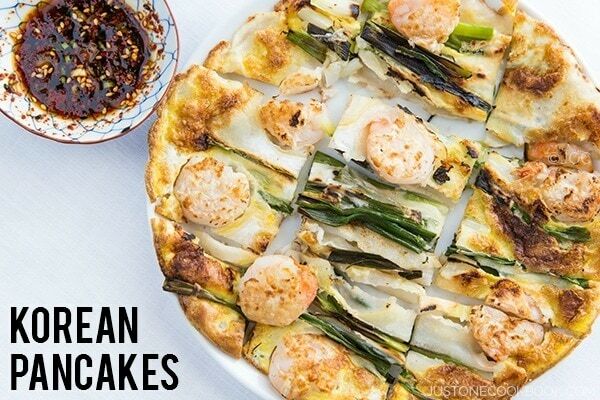 Some people top them with tempura or fish cakes. Some eat cold soba instead of soba in hot soup. Today I’ll show you the Soba Noodle Soup recipe which I would normally prepare for regular meal. 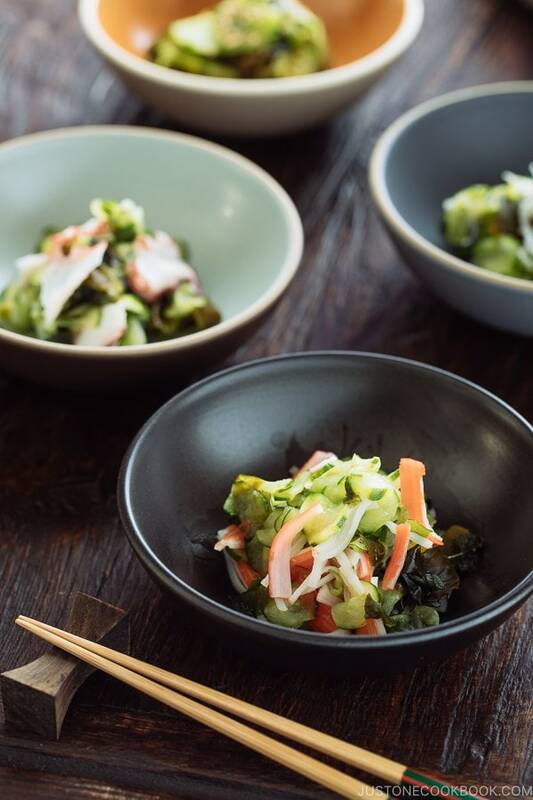 In this recipe, the dashi broth is flavored with kombu, bonito flakes, and the usual Japanese seasonings like mirin, soy sauce and sake. When the nutty buckwheat noodles immerse in the hot broth, you’d get a bowl of noodle soup that is light yet no lack of umami complexity. 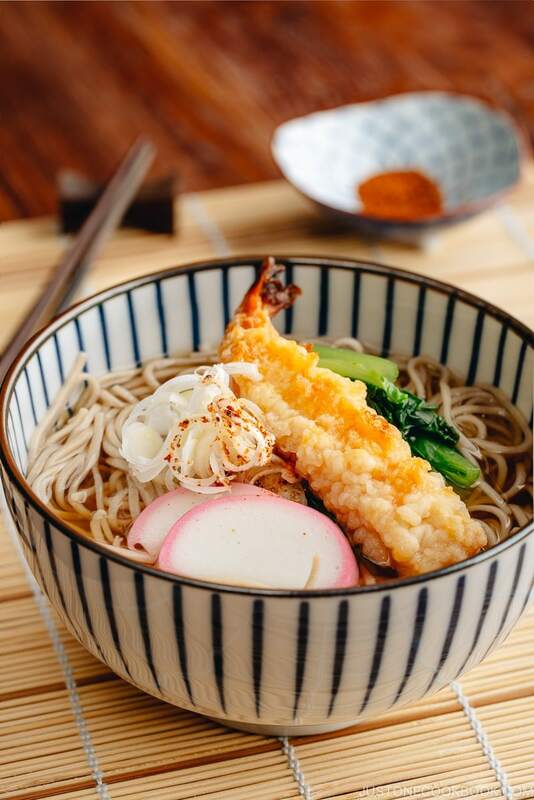 This Soba Noodle Soup will keep you nourished and leave you a warm fuzzy feeling inside out. What a wonderful dish to welcome the New Year! Do you have a New Year’s Eve tradition where you are from or live? I’d love to know. [Optional] Soak kombu in water overnight (if you have time). Transfer kombu and water into a saucepan. Bring the water to a boil. When it’s almost boiling, remove kombu from water and discard. Add katsuobushi and simmer for 30 seconds. Then turn off the heat and let katsuobushi sink to the bottom of pan. Let Katsuobushi steep for about 10 minutes. Strain the dashi over a large strainer lined with a paper towel set over another saucepan. 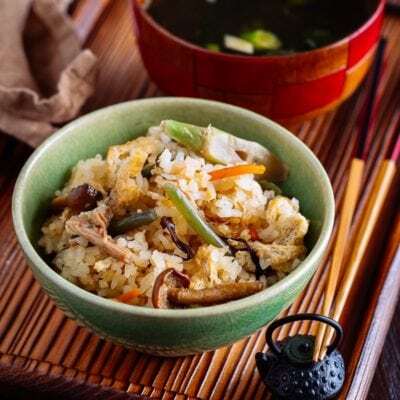 Gently twist and squeeze the paper towel to release any remaining dashi into the saucepan. Add mirin, sake, soy sauce, and salt in the dashi and bring the soup to a boil. Set aside until warming up later. Insert a knife at the bottom of kamaboko to separate it from the wooden board. 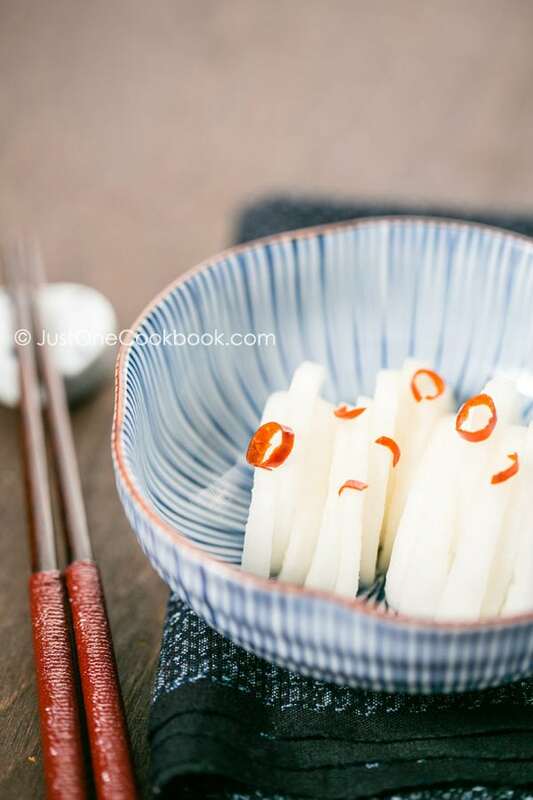 Then cut the kamaboko into ¼” slices. Slice green onion thinly and cut komatsuna into 2 inch pieces. Boil the komatsuna in salted water. I first boil the hard bottom parts of komatsuna since they take longer to cook. Then add the leafy part later. Once they are tender, take them out and soak in ice water to stop cooking. Drain well. 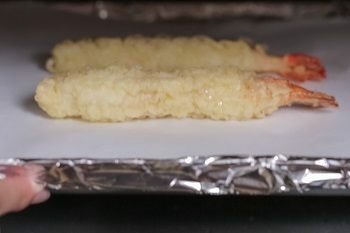 Bake shrimp tempura at 400F (200C) for 15 minutes, or according to the package instructions. Meanwhile boil two large pots of water (See Note). One for cooking soba noodles and the other pot for warming up the noodles after washing them. Cook soba according to the package instructions less 30 seconds*. Mine says cook for 4 minutes, so I cook 3 minutes and 30 seconds. Unlike pasta, you do not need to add salt to the water. Drain the soba noodles and wash the noodles with hand under cold water to get rid of slimy texture. Then transfer the soba noodles into the other pot of boiling water to warm up the noodles again. Once they are warm, drain and place them into a serving bowl. Pour hot soup over the noodles and place toppings. Sprinkle shichimi togarashi or ichimi togarashi if you like it spicy. Serve immediately. 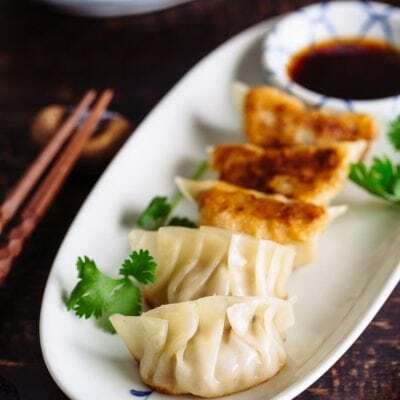 * If you want to save time, just boil one pot of water, cook according to the package instructions (4 minutes), rinse under cold water, and then put the noodles directly into a bowl. 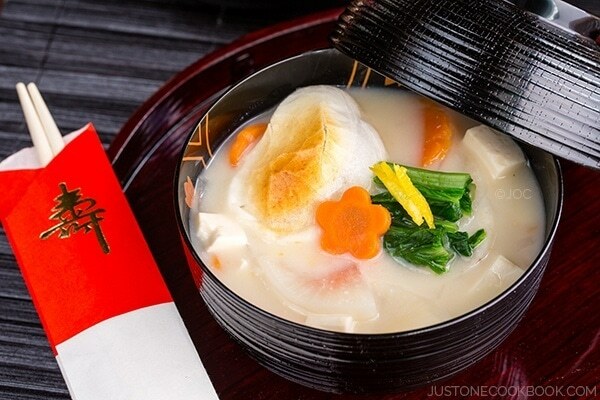 * If you have Mentsuyu, you can dilute it with hot water to make a soup broth. * Adjust the seasoning as you like - to make it saltier or sweeter. I intended to bring out good dashi flavor so my seasonings may be too light for some of you. A beautiful and mouthwatering soup. This is such a beautiful dish and I enjoyed watching your video a lot! Totally agree, that I prefer ramen and udon over soba most of the time. But I understand soba is an important part of the culture, like the longevity noodles for Chinese new year. 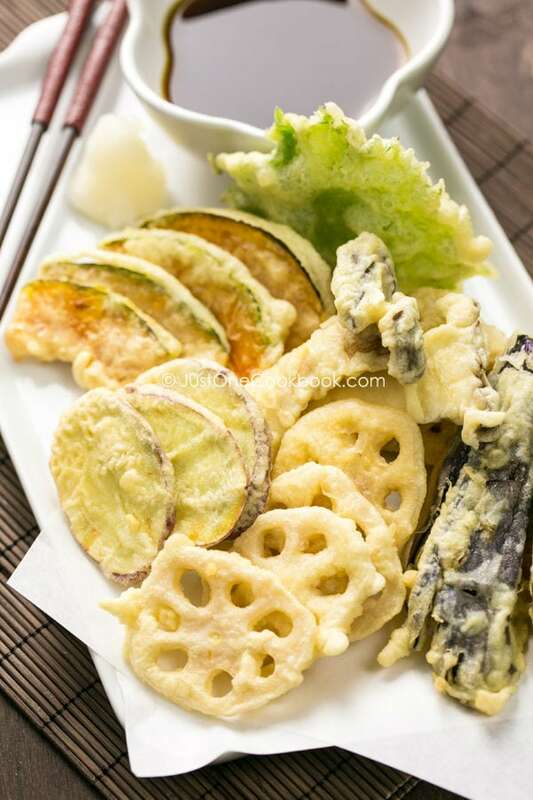 It will be a delicious and fulfilling meal by topping with some nice tempura. 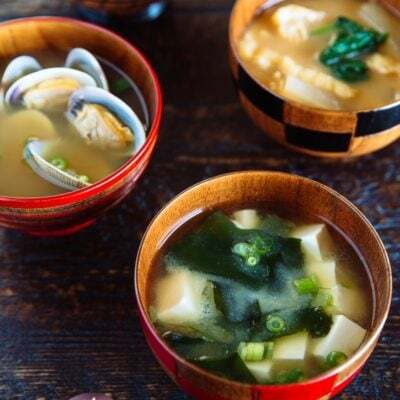 A lovely soup, Nami. I have yet to use kamaboko. It looks quite attractive. I’ll have to pick some up. Another great soup. Never had a soba soup, actually made a cold soba salad for the first time ever a couple of weeks ago. I love udon and ramen best too but this is so worth a try. Nothing better than a warm, comforting soup for cold days. This one s going to be one f my favorites, love the combination of flavors and textures. I love to hear about the symbolism of Soba Noodle soup for the New Year’s and love this recipe. Thanks for sharing and have a very Happy New Year, Nami! What a beautiful soup! I could totally use a bowl of this today to warm my hands and welcome a new year. I hope you and your family have a Happy New Year! Thank you for sharing with us New Year’s Japanese traditions. I love soba and could have it any time of the year, so if there is an additional excuse to cook it, I’m more than happy! (Especially if such a gorgeous ebi is involved 😉 ). Happy New Year, Nami!!! Happy new year Nami! You’re super. I just moved to a new place and am excited to get some good kitchen tools. I see you tools page, by the same time, could you please recommend some good utensils? What are good chopsticks? This soup looks delicious, Nami! Love noodle soups, so comforting and always tasty! 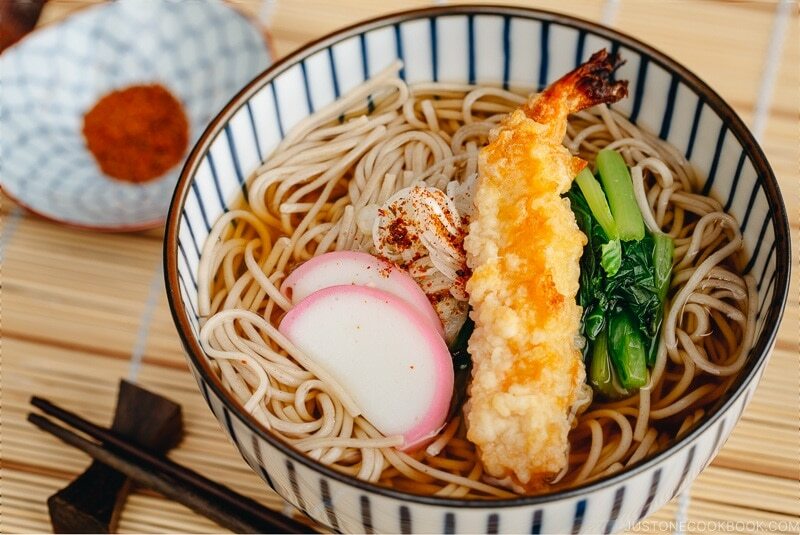 Nami-san, a lovely comforting bowl of your soba noodles would make my day. I did not know that the ability to easily cut soba noodles representing letting go of hardships, interesting to know. On contrast having the long noodles representing longevity of life is a New Years tradition in HK as well. Wishing you and your family a super 2015! I use Shichimi Togarashi on all kinds of food – not just Japanese :)) Good to know that soba is the noeodle for New Years Eve! It’s strange how the food change according on which side of the world we are. The day now are very warm/hot in Lima, but the nights used to be fresh, so it’s a perfect time to try this wonderful soup. i love the different textures going on with the soup and your toppings for it. It looks insanely wonderful! Hope you had a wonderful new year! Sounds like an awesome soup. 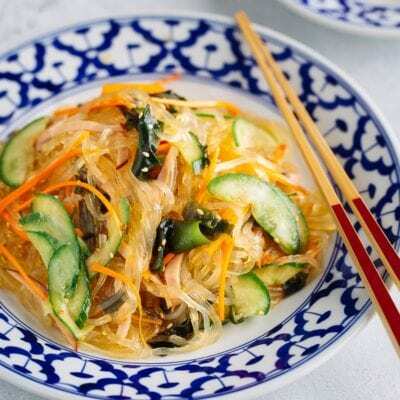 Love soba noodles so I am sure I will love this recipe too. It is wicked cold here and this soup would be welcome. Our culinary tradition is for New Years Day. We always have black eyed peas. They’re a symbol of good luck and fortune. My mom and aunts used to cook their’s with a dime in the bottom of the pot. Doing so meant you’d always have money in the new year. I did that a couple of times and it grossed me out so I stopped. Just the beans is good enough for me. Happy New Year! Happy New Year to you and your family, Nami! 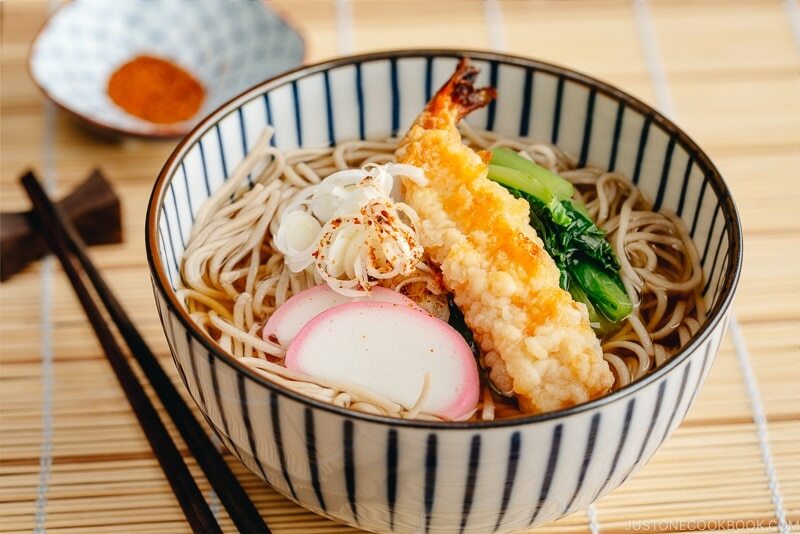 This soba noodle soup look beautiful! 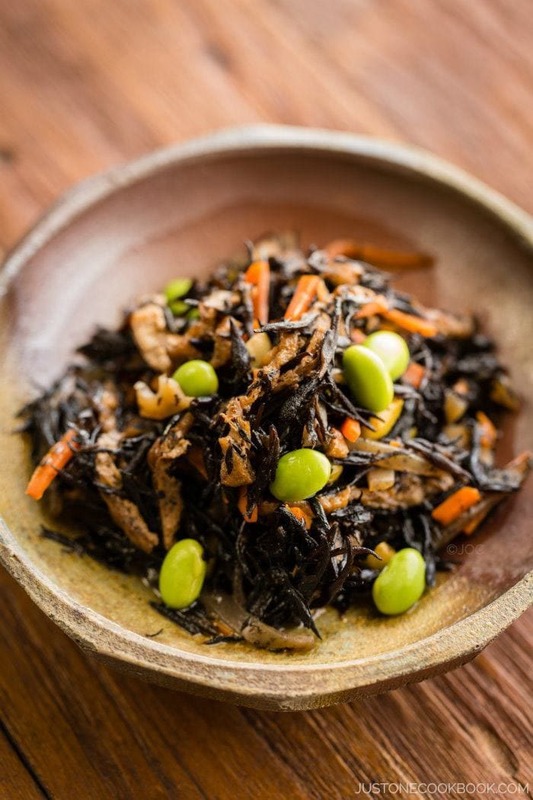 I love hearing the story behind serving soba noodles on new year’s. Looks like the perfect bowl! Nice meals in the rainy days lately here in Palembang!!! 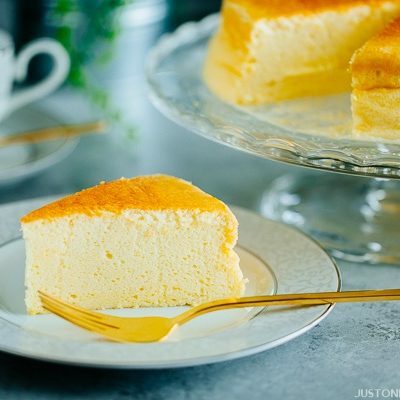 I just discovered your blog recently and have begun trying your great recipes. 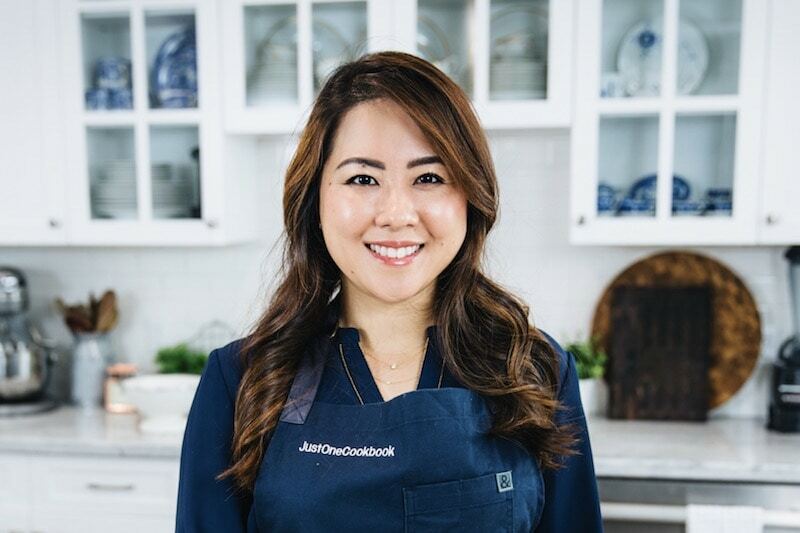 I grew up in NYC eating at the many great Japanese restaurants in the East Village and now I’m thrilled to try making the food at home! My question is about the kamaboko. It is sold frozen. I cut it like you suggested without any problems. But I noticed you didn’t cook it in the broth. How should I properly prepare frozen kamaboko? Hi YC! 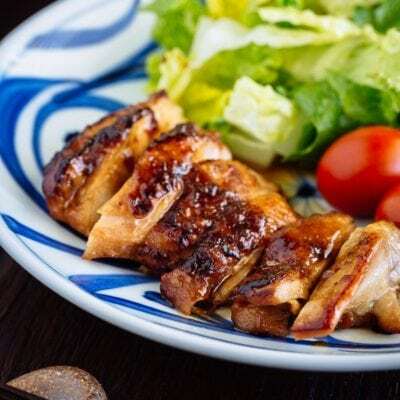 I’m happy to hear you started to cook Japanese food at home! 🙂 I wish Kamaboko is not always sold frozen here (In Japan, it’s always in refrigerated section only. Kamaboko stores would claim that the quality will go down, but I guess we are lucky we can still get kamaboko here even it’s frozen. Kamaboko is already processed so you can eat it without cooking. It’s enjoyed in both non-cooked and cooked. You will need to defrost it one day before and have to use it in less than a week. Hope this helps! Hi Nami! I have finally acquired most of the ingredients needed to make this truly delicious looking soup. I only need to get some mirin and the king prawns. We have a very rainy week here in Slovenia, so I’m looking forward to warming my family up with the broth! ? 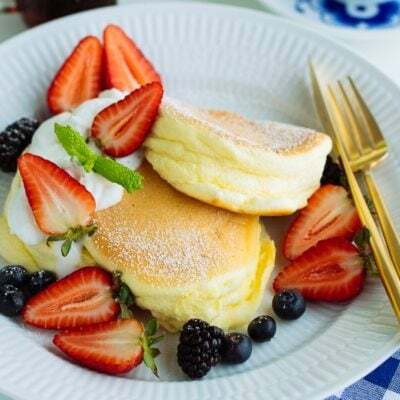 I’ll be making this for 4-5 people, but it’s my first time making something like this, so I’ll use some help from my obaachan ☺️ I was just wondering though, are the dishes using sake and mirin suitable for children? I know that some alcohol would evaporate, but I don’t know this recipe well, so I wouldn’t mind some guidance ? Hi Greg! Japanese don’t particularly worry about mirin and sake especially when it’s cooked (I read somewhere that it evaporate very quickly once it’s cooked and said even after opening the bottle, basically saying not to worry). However, if you’re worried, at step 4, you can first put sake and mirin in a small pot and let them evaporate for a longer time. Then add it to dashi. That way, you can make sure to evaporate alcohol. 🙂 Hope this helps! 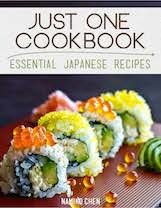 Great recipe and the cultural lesson about eating soba on New Year’s Eve was also very interesting. Some people eat Black Eyed peas on New Year’s Day here in the South. several soups by that name but they were not at all like that in Japan. Do you have a recioe for the real soup. Ed – is it Edo (like it means old Tokyo)? 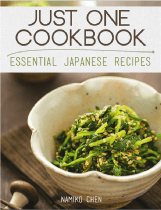 Yokasoba – is it Yakisoba (but that is not a soup, it’s stir fried noodles – https://www.justonecookbook.com/yakisoba/). I was searching in Japanese to see a similar word for soba menus, but I couldn’t find that sounds similar to Ed Yokasoba…. Could you describe what’s in there besides soba and soup broth? Nami Sensei! 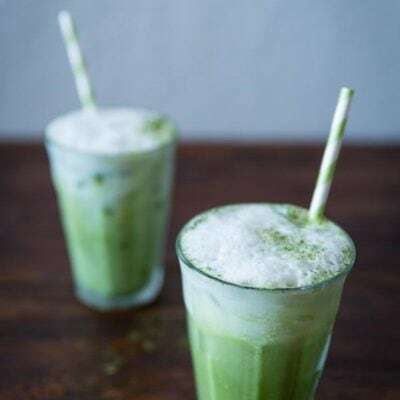 If I want to make this today, how long should I let the kombu soak? What is the shortest amount of time?? ?